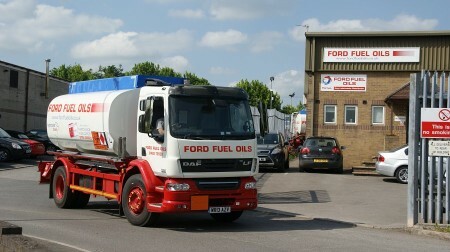 Ford Fuels have been a user of EA Projects iSupervisor loading automation platform for a number of years at several locations. They have recently commissioned EA Projects to update the facilities at three further storage depots as part of their continuous improvement program. The sites at Membury, Defford and Stalbridge have all benefitted from the installation of the EA Projects iSupervisor TAS platform, which is now authorising and controlling deliveries onto road tankers at those locations through electronic loading skids fitted with electronic flow computers. The Defford installation is also one of the first locations to use the EAP wireless solution. A system developed by the company to allow installation of the iSupervisor TAS in locations installation of communication cables are difficult or impossible. In addition to the core iSupervisor road tanker loading automation functions, Ford Fuels also selected EAP to supply and install newHectronic tank gauging systems at the sites. The tank gauges are providing level accuracy of +/- 1mm and are also giving temperature and water measurement. The gauges link to the iMonitor tank gauging module wirelessly which is providing level readings both locally and remotely via the standard web functionality of the package. The iMonitor system is also providing historical tank inventory data, providing Ford Fuels with a complete audit trail of stock movements. The loading automation system also provides complete product reconciliation of meter movements against tank throughput. European Automation undertook all elements of the terminal automation system roll out including site electrical works, as well as the installation and commissioning of software and level instrumentation.